It was during the 19th and 20th centuries that the Syrian legal system evolved into the form it takes today, which consists mainly of secular and codified legislation serving as the primary source of law. With modern-day Syria having first been subjected to Ottoman rule and a French mandate following a brief period of independence under King Faisal at the end of the First World War, Syrian law came to be influenced to a significant degree by the continental European model based on the civil law system. In this respect, the prevalence of codes addressing a range of subjects has become an essential feature of Syrian legislation, which initially began when the Ottomans introduced a set of Napoleonic codes to Syria before the French authorities imposed their 26-year mandate. While these foreign sources had an effect on the content of laws promulgated in Syria, legislators in Damascus also looked to Arab countries in the region such as Lebanon and Egypt to follow their examples when drafting legislation. The modern development of Syrian law can be divided into distinct time periods during the 20th and 21st centuries as a number of political figures came to power at various stages with specific objectives in mind. Syria had historically enjoyed a free market economic system dominated by a traditional elite class, which was at the forefront of political power after independence was recovered in April 1946. Consequently, the laws that were enacted during this time promoted commerce and industry and limited the state’s role in the economy unlike the approach taken in later years. Moreover, it was in 1949 that the military regime of Husni Zaim produced the basic legal codes prevalent in the civil law system- the Civil, Commercial and Criminal Codes. During the union between Syria and Egypt from 1958 to 1961, which extended Gamal Abdel-Nasser’s authority to Damascus, socialist policies became a key factor in the Syrian economy and therefore its legal system. Nationalization of key commercial and industrial establishments along with land reform became official state policy and laws were passed to this effect. When a military coup d’état ousted Nasser’s administration in Syria in September 1961, the old political elite who were restored to power attempted to revive free market practices but their brief tenure in office was quickly overturned in March 1963 when the Baath Party took over the government. The socialist Baath Party sought to rehabilitate substantial parts of the legislation enacted by the Nasser government and establish a state-run command economy with a greater emphasis placed on the role of the public sector. They therefore also pursued a nationalization program and pushed forward with land reform. It was only in the mid-1980s and 1990s during Hafez Al-Assad’s presidency that the government gradually started to reduce its grip on the economy. It did so by curtailing legislative restrictions in order to encourage some private capital investments in response to the substantial economic pressures on the state at that time. More visible changes in economic policy started to emerge in the 2000s when Bashar Al-Assad came to power. His government began pursuing legislation to shift away from a command economy towards market reforms aimed at increasing private sector investments. The government went ahead and formally adopted the concept of a social market economy as official policy in 2005. The result of all these economic reforms was the promulgation of a number of laws that reversed the socialist policies pursued by the Baath Party when it first came to power in 1963. In effect, the legal state of affairs, which encouraged private businesses to participate in commerce, industry, banking, insurance and other sectors that had existed before the nationalizations of the late 1950s and early 1960s was coming back to Syria though under different circumstances as the country had changed significantly in the last 40 years. This program has however ground to a halt since 2011 as growing unrest in Syria resulted in a change of priorities for all segments of society. Even though legislation has continued to be enacted during the current crisis, it is difficult to determine what the long-term effects on Syrian law in general will be until this conflict comes to an end. At present, a number of legislative measures being pursued appear to be more concerned with addressing short-term problems brought on by the effects of war. Regardless of what may happen in the future, it is foreseeable that the laws expected to be passed in the coming period will be greatly influenced by the events that have shaped the country since 2011. Since reconstruction will inevitably be part of the next phase in Syria not least due to the fact that the country’s infrastructure will require significant rehabilitation, it is highly probable that new laws will reflect this fact. The outcome of all of these major occurrences in Syria has been a series of legislation governing a wide variety of subjects. There are a number of forms that such legislation takes but the ones that are noteworthy are Laws, Legislative Decrees, Decrees and Regulations. Laws are passed by Parliament before being promulgated by the President of the Republic. Legislative Decrees are issued solely by the President who shares the legislative power with the Parliament. Decrees and Regulations are considered secondary legislation, with the former being passed by the President in accordance with primary legislation while the latter are issued by the various ministries and other competent public entities. Officially speaking, all pieces of legislation are followed chronologically by the number and year in which they are issued. In most cases, legislation takes effect once it has been published in the Official Gazette in line with Law 5/2004. At the center of the Syrian legal system is the Constitution, which came into effect in early 2012. For almost a century, Syria has witnessed the promulgation of a number of constitutional documents. These include the Constitutions of 1920, 1928, 1930, 1950, 1953, 1958 and 1973, along with the provisional constitutions of 1963, 1964 and 1969 issued by the Baath Party governments. As with most constitutions, reference is made to political institutions, economic policies, civil liberties and the role of religion in the state. The current Constitution of 2012 came into effect in response to the existing unrest and expands on major issues such as the legislative, executive and judicial branches in addition to the roles of local government, political parties and economic objectives. Syria is regarded as a presidential republic where considerable authority rests with the executive. The legislative authority is exercised by the People’s Assembly, the national Parliament, though the President of the Republic shares its power as well. The judiciary is supervised and overseen by the Supreme Judicial Council. The highest court in the land is the Court of Cassation while the Supreme Constitutional Court has jurisdiction over principles of constitutional law, including the validity of legislation and elections. As part of the judiciary, the court system is comprised of the civil and criminal courts and the main administrative court, the Council of State. The latter hears cases when a public entity is involved in a dispute. Other judicial bodies such as the special criminal courts that existed in the past have since been dismantled. As for alternative dispute resolution, arbitration is a key component of the judicial process and was the subject of legislative reform in 2008. As the basis of any civil law jurisdiction, the Civil, Commercial and Criminal Codes are of primary importance. All three were originally enacted during the 138-day rule of General Husni Zaim in 1949. The Civil Code is comprehensive in nature and focuses on various subject areas, such as the law of obligations and property law. As for the Commercial Code, which was updated in 2007 through new legislation, it consists of separate headings addressing commercial activities, commercial contracts, agencies and brokerages, banking activities, negotiable instruments and insolvency. On the subject of commerce, the Civil Code contains important provisions governing the sale of goods. The enactment of competition and consumer protection laws came to the attention of the government in the mid-to-late 2000s after a decision was taken to move the economy away from a socialist approach towards a social market orientation. The Competition Law passed in 2008, which is meant to complement a shift in economic policy towards a market economy, accompanies the Anti-Dumping Law, enacted two years earlier in 2006 and which seeks to protect domestic industries. While there has been an emphasis on promoting competition among businesses, legislation is also in place to protect consumers in accordance with the Consumer Protection Law passed in 2008 and through a series of price controls laid down by the government. While previously embodied in the Commercial Code, companies are now governed by the Companies Law, with the most recent being enacted in 2011. This Law governs the incorporation of both public and private joint stock companies, limited liability companies, and general and limited partnerships. Different types of companies that may be incorporated include holding companies. 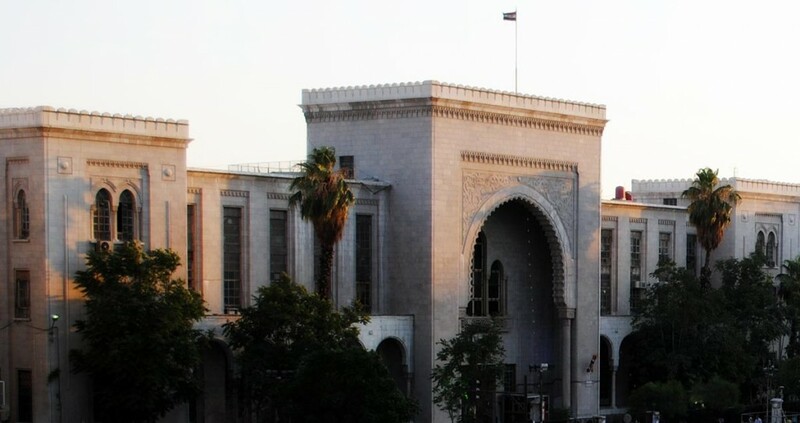 A separate law dating back to 2008 permits foreign companies to establish branches and distinct types of offices in Syria to carry out their activities using the most appropriate form. Investment legislation has also become a key characteristic of Syrian law since the mid-1980s following an economic crisis stemming from a shortage of foreign currency reserves and public sector inefficiency. The promotion of investments also moved forward firstly in the 1990s and then more substantially during the 2000s with new laws aimed at targeting both local and foreign investors. As a whole, those have included the general Investment Law and specific laws tailored to the touristic, agricultural, energy and education sectors. Moreover, special designated zones such as free zones and industrial cities have sought to cater for numerous businesses, both local and foreign, over the years. The government also sought to become a bigger player itself before the current unrest began as it intended to incorporate a state-owned investment company. As a fundamental facet of any legal system, property law features many important parts. In addition to property ownership both by Syrian and foreign nationals, important provisions of the Landlord and Tenant Law must be appreciated to take note of the shift in policy starting in 2001 to draw in private capital to the real estate sector. Specific property investment legislation is made up of a number of laws enacted starting in the mid-2000s. Land policy has always garnered interest in Syria particularly as a result of the historic role of agricultural property, which was the subject of land and agrarian reforms mainly carried out in the 1950s and 1960s by the governments of Gamal Abdel-Nasser and the Baath Party. As another form of property protection, intellectual property rights pertaining to patents, trademarks and copyright are a crucial component of the Syrian legal system. A new media law was enacted following the outbreak of demonstrations in 2011 as part of an announced package of legislative reforms by the government. It contains provisions dealing substantively with how journalists and media outlets are permitted to operate in Syria and under what circumstances. At the same time, it also includes a section dealing with the incorporation of media businesses involved in printed works, periodicals, audiovisual broadcasts and online content along with news agencies and media services companies, each with specific criteria that must be met by investors and staff. The roles of financial policy and institutions have changed significantly since the nationalization measures carried out by the Nasser and Baath Party governments following the return of the private sector to the financial industry in the 2000s as a result of economic reforms. As well as private conventional banks, legislation today permits the establishment of Islamic banks, investment banks, financial leasing companies, mortgage finance companies, microfinance institutions and foreign exchange businesses. In addition to financial entities, private insurance and reinsurance companies have also been legislated for since 2005. Moreover, the Damascus Securities Exchange, the country’s first stock market opened in March 2009. The government has also passed legislation regulating its ability to issue treasury bills and bonds, which was supposed to enable it to finance infrastructure projects among other plans. As part of the changes in the financial sector, the accounting and auditing profession came under the spotlight in 2009 with the enactment of a law governing its practice, which seeks to bring it more in line with international standards. Employment law underwent a series of reforms with the most noteworthy ones taking place in 2004 and 2010. While there are sections that deal distinctly with the general employment of Syrians and foreign nationals, separate legislation governs individuals who pursue work in the agricultural sector. This falls in line with the emphasis placed on agrarian reform since 1958 and the subsequent changes to the law that were enacted in 2004. Furthermore, employment in the public sector is governed exclusively by its own law as well, with the most recent being also passed in 2004. Public procurement became the subject of legislative reform in 2004 with the promulgation of a new law, which lays down the relevant procedures that public entities must undertake when they enter into contractual obligations. In addition, the government commissioned the drafting of a public-private partnership law, which was on the verge of enactment in early 2011 before unrest gripped the country. The draft law coincided with attempts to draw in private investment to construct and rehabilitate various infrastructure projects across the country in partnership with the public sector. The People’s Assembly is expected to start consulting on this bill in the near future. With the numerous legal changes that were expected to take place and anticipated at the turn of the century, a new taxation code that reduced brackets was pushed through in 2003, which presented an overhaul to the previous system. The taxation brackets differ in respect of certain commercial and industrial establishments, and depending on the nature of the companies involved while a separate payroll tax for employees is included. While brackets were reduced, the government also passed tax evasion legislation to increase revenues to the state’s coffers. Other taxes and fees of importance include property taxes, custom duties, import tariffs, consumption taxes, inheritance taxes and stamp duties, almost all of which have been the subject of tax reform in the past 10 years. There are other noteworthy subjects of Syrian law whose importance cannot be underestimated as they are considered fundamental contributions to the Syrian legal system. They include the Personal Status Law passed in 1953 and the Nationality Law enacted in 1969. The Personal Status Law governs the familial affairs of individuals based on their specific religious backgrounds while the Nationality Law details the criteria for possessing Syrian nationality and the circumstances under which foreign nationals may obtain Syrian citizenship, with a preferential emphasis placed on Arab applicants. In addition, there is the Civil Society Law that dates back to 1958, but which may soon be replaced with new legislation that conforms to the current realities on the ground. The final piece of legislation worth mentioning is the Environmental Law where legislative changes recently took place in 2012.